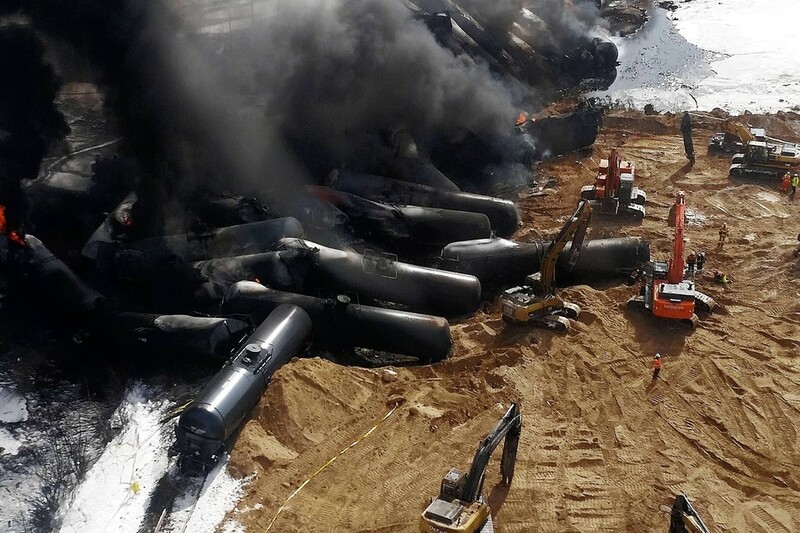 U.S. refiners are suing BNSF Railway Co., claiming the railroad’s new charge on oil shippers that use tanker cars implicated in several fiery train derailments is improper. The American Fuel & Petrochemical Manufacturers, a trade group that represents refinery owners, filed suit in a federal court in Houston on Friday. The group alleges that BNSF is overstepping its authority and penalizing oil shippers for using less-crash-resistant DOT-111 tanker cars, even though U.S. regulators haven't outlawed them. Many refiners have bought or leased fleets of rail cars in recent years in order to secure their access to crude from shale formations like North Dakota’s Bakken, where pipelines are scarce and refiners and oil producers rely on rail to get oil to market. The trade group said BNSF’s surcharge would cause “direct and substantial” financial harm to its members who ship oil with the Ft. Worth, Texas, railroad operator. On Jan. 1, BNSF started charging an extra $1,000 for each older railcar used to ship crude. Since each car carries about 700 barrels, the railroad is adding roughly $1.50 per barrel in extra costs. Refiners say the charge breaches BNSF’s duty as a common carrier; they want an injunction prohibiting the company from imposing the charge. A spokesman for BNSF declined to comment on the suit. The federal government oversees how hazardous materials are transported and railroads shouldn’t use their pricing power to set safety standards beyond what regulators require, Rich Moskowitz, AFPM’s general counsel, said in an interview. As a common carrier, a railroad can’t decide it doesn’t want the risk of transporting oil in older tanker cars or set prices so high that it discourages it, he added.